Leave work at the office. Staying connected to your work long into the night can cause you to fall asleep slower. Stressing over emails that need to be answered is a big issue. Develop the habit of putting a buffer zone of two hours or more between reading work-related emails and the time you go to bed. Pull the plug. Research consistently shows screen time before sleep does more harm than good. The light from your device can cause vision problems and disrupts the circadian rhythm which tells your body when to sleep and wake up. If you like to read before falling asleep, pick up a physical book or magazine. Pause for reflection. Some people like to sit quietly and think about what happened over the course of the day. Others find it helpful to keep a gratitude journal to remind them of the progress they’ve made and the things they can be thankful for. Decompress. Take a few moments to breathe and relax. Meditation can help quiet your thoughts and worries, while yoga restores a sense of calm. Clear your mind. Instead of lying in bed thinking of all the things you need to accomplish the next day, write them down before turning out the light. That way the tasks won’t invade your thoughts during the night. Watch what you eat. Avoid alcohol, caffeine and high-fat foods right before bedtime. You may have heard it’s bad to eat after a certain time, and while there’s truth to this, many nutritionists say it’s what you eat that matters most. Take a stroll. An evening walk can aid digestion, clear your mind and improve your mood. Establish rituals. 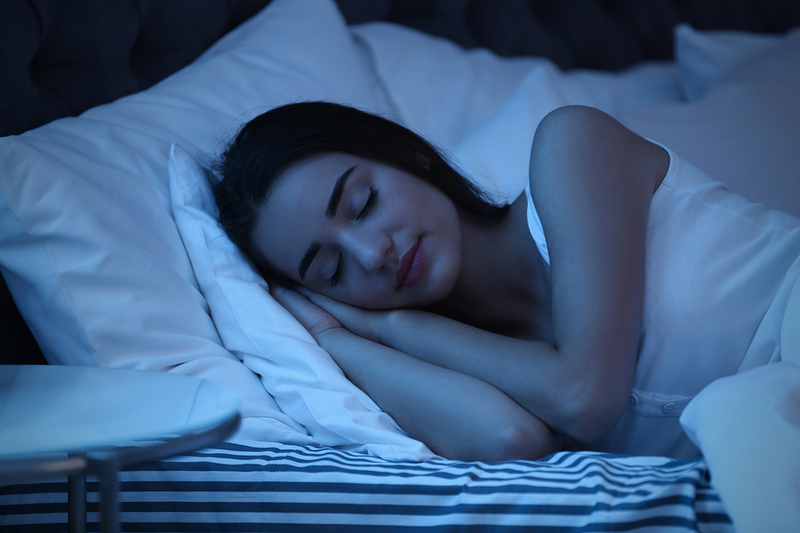 Whether it’s putting on your PJs an hour before bed or making sure your head hits the pillow precisely at 10:00 p.m., a nighttime routine helps ensure consistently good sleep. Evening workouts. Aerobic exercise has been shown to relieve insomnia. So, head to the gym after work. You’ll fall asleep faster and wake up more refreshed. Visit any of the Y’s 4 locations to check out our gym facilities, or contact us online today for more information.